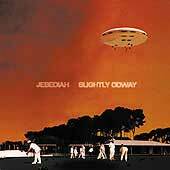 Debut full length release by Jebediah. Contains the singles "Jerks Of Attention", "Leaving Home", "Military Strongmen", "Teflon" and "Harpoon". CD is in very good (VG) condition (has some light scratches that don't affect it playing). Cover is in very good plus (VG+) condition.